Our mission is to help as many children and adults as possible live their healthiest and best life ever. Since opening our doors in 1985, the Northboro Chiropractic Center has been helping area families get healthy and maintain their wellness through natural and effective chiropractic care. 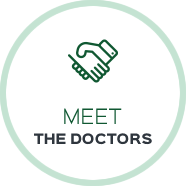 Dr. Karen Moriarty and Dr. Danielle Feeney are passionate about seeing all ages restore their well-being through natural care by focusing on the health of the nervous system. We educate every patient to understand that to live a life of well-being, we need to have a healthy spine and nervous system. Patients who come in regularly for chiropractic care often report greater overall health every year as their chiropractic adjustments help them deal with stress that they experience on a daily basis — physically, chemically and emotionally. Many of our patients increase their enjoyment of life ever year through regular wellness care visits to our Northboro Chiropractors. 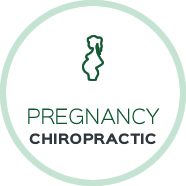 Pregnant women under chiropractic care often experience a more comfortable pregnancy, smoother labor and delivery. 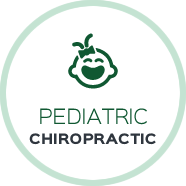 Pediatric chiropractic care supports your child’s optimal health, growth and development. Very friendly and informative staff. First adjustment went well. Looking forward to more work being done and living in a pain free environment! I had no idea what to expect but my first visit exceeded all expectations! Very informative, and I felt right at home. Great experience in every aspect from Morgan during our first phone conversation to my first visit with the doc and nurse! The over all energy of the environment is amazing when walking in. My first experience was a great one and I can’t wait to go back! I’m very excited to get back on track and feel I’ve made a great choice of office. Looking forward to my next adjustment! Feels great to be back in capable hands. Very excited to begin my healing journey with you. Dr. Karen and her staff are awesome. They listened to my concerns and put me on a plan to get my back pain under control. I’m already feeling better! I love the adjustments! Thank you! I really appreciate the organization and clear information given to me and of course it’s lovely to support what I believe is an all female run business! Your practice is so professional and everyone on the staff is so friendly. I am looking forward to a new relationship with you and getting back to feeling great! Everybody I met was very helpful and professional! Great experience, extremely confident that I will get relief that I was hoping for. 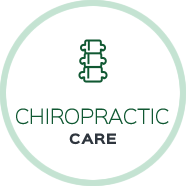 Looking forward to gain chiropractic health. All around awesome awesome awesome experience! I am so happy I decided to take my 13 month old. I felt leaving optimistic and informed. Love the practice philosophy. Very welcoming to individuals and families! Everyone has a smile on their face and they make everything so easy! Beautiful office. Felt very comfortable and confident in the knowledge and professionalism of everyone I interacted with in the office. Looking forward to getting some great work done for a healthier me! I appreciate the “whole life” perspective that realizes that your past has influenced what you are today as much as your current environment and life style. We had a great first visit and were equally happy with our second visit. We are hopeful to have found such a great, caring practice.